WSJ reports on Google’s Hamina data center. 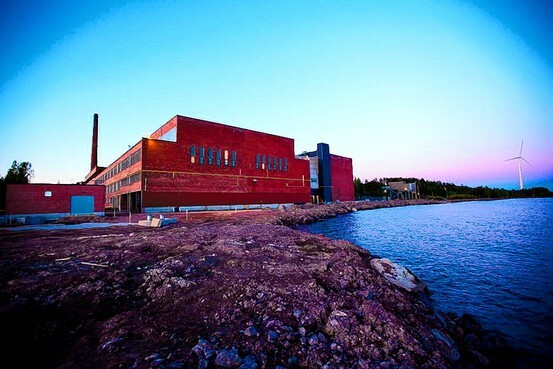 Google Inc.'s opening of a €200 million ($273 million) server hall in Hamina, Finland, over the weekend is boosting Scandinavian hopes that other big Internet companies will choose to build data centers in the region, attracted by its cold climate and low electricity prices. One interesting speculation in the WSJ article is Facebook is looking at a site in Sweden. Mr. Engman has been active in promoting Luleå as a hot spot for data centers, and he has undoubtedly had some success. An undisclosed major U.S. Internet company, widely believed to be Facebook, is planning to build a giant data center outside the town center, in an investment estimated by local officials at between three billion and five billion Swedish kronor ($459 million to $764 million). Facebook has declined to comment on the matter. The plan has been delayed by legal action brought by a private individual on concerns the data center may harm wildlife, but should the latest appeal fail, the center will represent the single largest corporate investment—more than three times the size of the nearest contender—ever made in the city. Mr. Engman, who takes pride in having attracted the U.S. company to Sweden, says there are several reasons other than climate that contributed to its interest in Luleå. "We've got a unique electricity infrastructure up here. The electricity network is built for [energy intensive users such as] paper mills and the metals industry, and our supply of hydroelectricity means electricity prices here are among the lowest in Europe," Mr. Engman says. And the folks in Lulea claim they haven’t had a power outage since 1979. "You can't have a blast furnace shutting down because of electricity shortages. Luleå hasn't had a power outage since 1979. When we informed executives at U.S. software firms about this, they had a hard time believing it," Mr. Engman says. One of the reasons Sweden and Finland are interesting is proximity to Russia. But it is not just the cool climate that makes the Nordic countries attractive, supporters say. "There are several factors," says Tomas Sokolnicki, a senior investment adviser at Invest Sweden. "We have political stability, excellent fiber-optic infrastructure, minimal risk for natural disasters and a favourable climate. "Also the fact that we are geographically close to Russia is important. Many players want to establish data centers close to the growing Russian market, but few dare establish data centers in Russia itself."